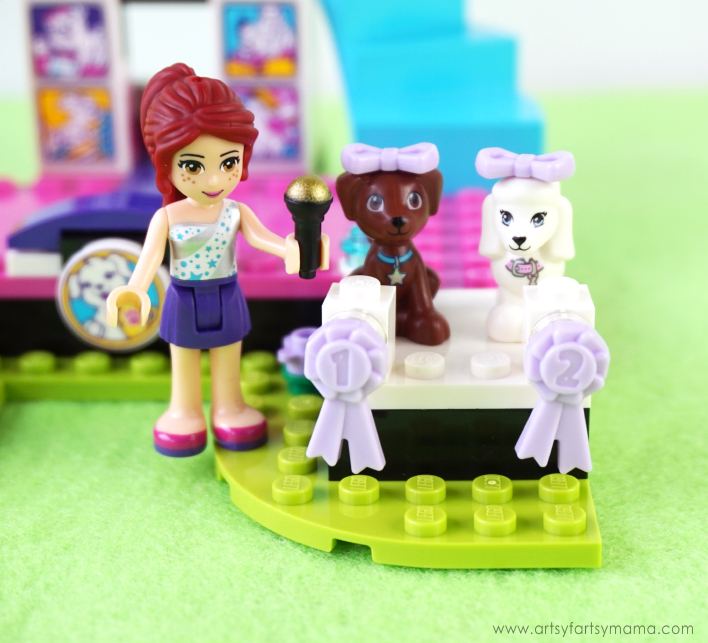 Sponsored by LEGO®, you can create your very own dog show with the LEGO Friends Puppy Championship set and learn the different dog breeds with a Free Printable Dog Breed Word Search! 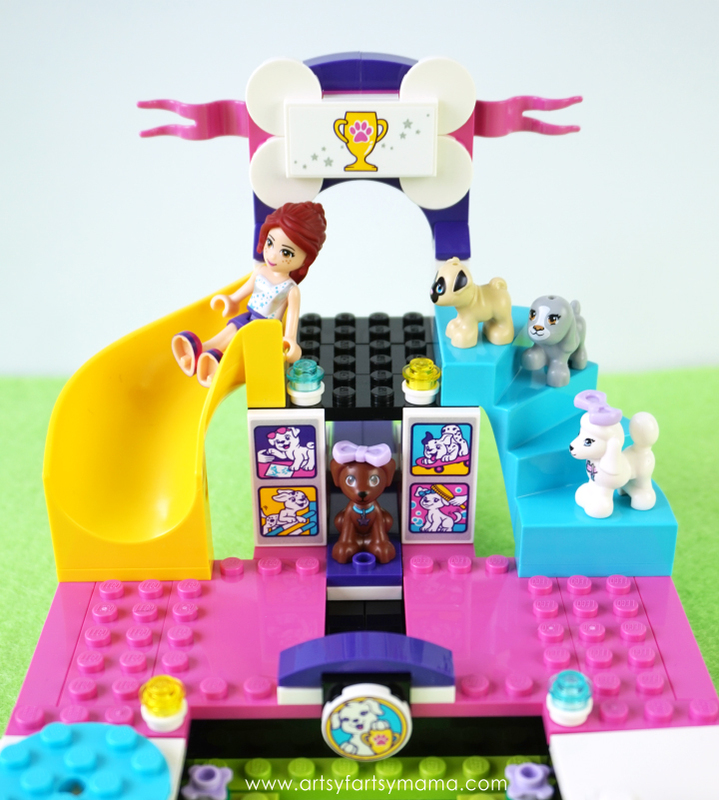 My daughter has always had a "dog trainer" and vet on her list of occupations she'd like to have when she gets older, so naturally she was ecstatic to see this LEGO Friends Puppy Championship set. This weekend was also the beginning of the 141st Annual Westminster Kennel Club Dog Show, so it was one seriously canine-filled weekend at our house! 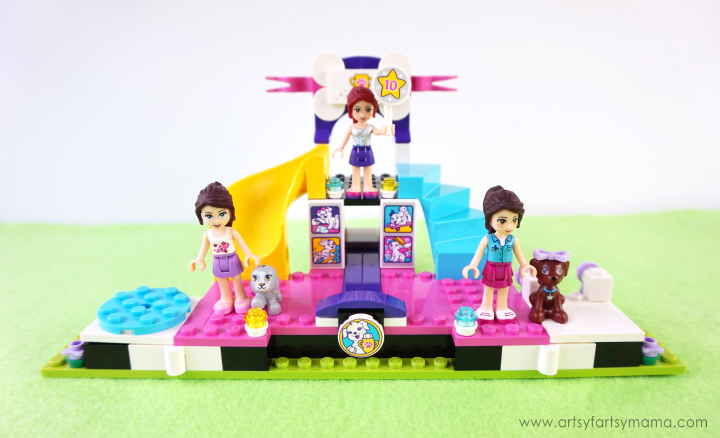 With this adorable set, you can help the LEGO Friends character, Mia, and her cute pups win the Championship! Recommended for ages 5+, this 185-piece set offers age-appropriate build and play experience. My daughter was able to read the easy-to-follow instructions all on her own and was so proud of herself once she finished building. 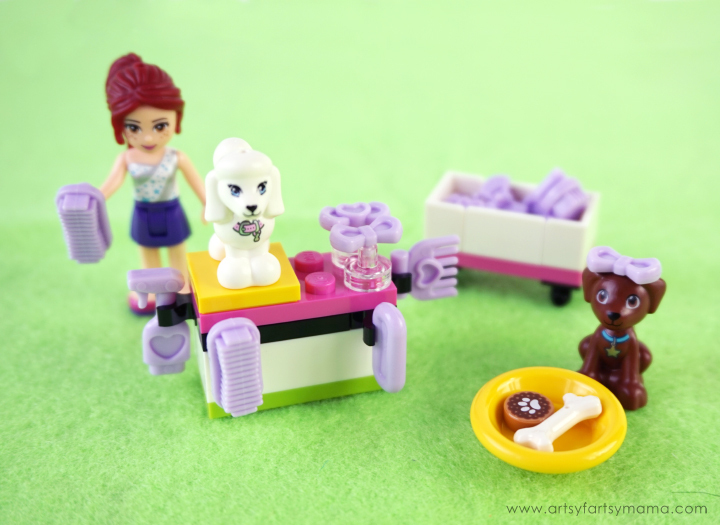 For even more Heartlake City puppy fun, you can combine this set with other sets like Puppy Parade, Puppy Pampering, Puppy Playground and Puppy Tricks & Treats! Before the pups make their debut, Mia can pamper Scout and Tina at the grooming station! There's brushes, combs, spray bottle, and lots of bows to help the dogs look their best. There's even a bowl of treats for the puppies to enjoy. 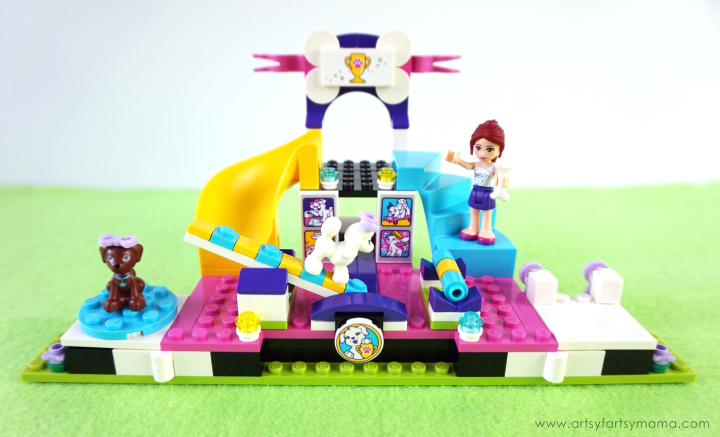 The main build is the Dog Show Stage, which includes everything from the grand entrance door, turntable for showing the dogs, podium, and a raised judging platform with stairs and a slide! There's also a space for Mia to announce the top two winners of the Puppy Championship with her microphone and reward them each with a rosette! 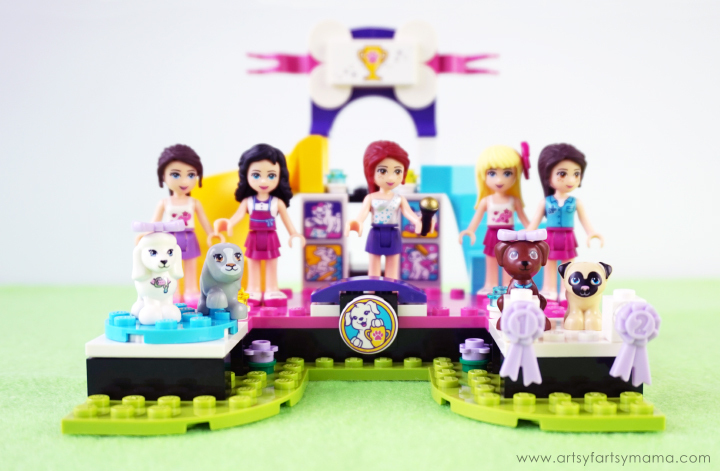 Because LEGO Friends are all about friendship, adventure and and imaginative fun, we recruited some of our other LEGO Friends minifigures from other sets to have an even bigger Puppy Championship! They each have their own dogs of different breeds, and Mia will be the judge with her judging paddle and microphone. Stephanie is grooming Toffee the Pug at the grooming station to look her best for the Championship! Here we have Emma showing her Poodle, Tina, testing her agility by walking across the tipping agility seesaw, and leaping gracefully over the jump with knockable bar! Naomi and her gray dog, and a (brown-haired) Mia and her dog, Scout, stand on the Dog Show Stage ready for judging! You can turn the stage ends around to have the turntable and the podium in front of the stage, or line them up at both ends of the stage to give the stage more room. 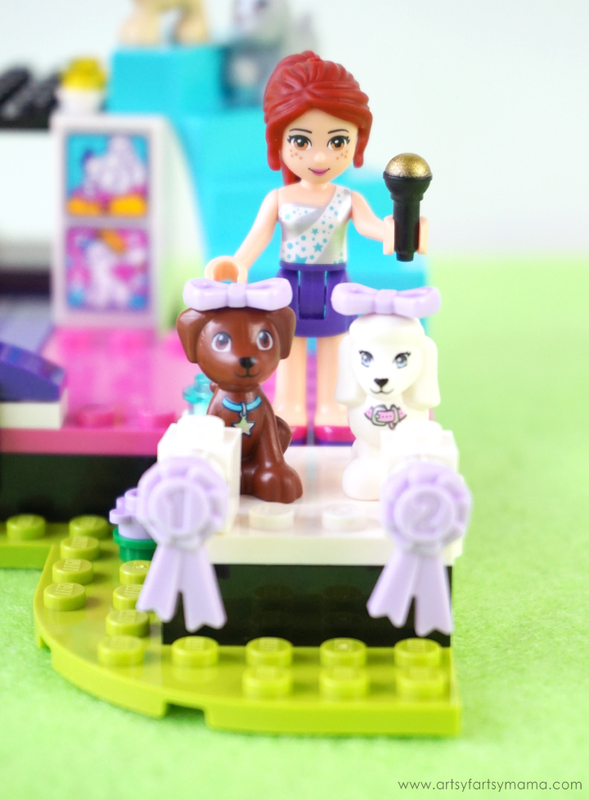 After their agility tricks are done, you can arrange all the contestants on the turntable or the podium to be judged on their beauty and obedience! The moment they've all been waiting for... The winners are the adorable Tina and Scout! Mia can reward the winning pups with bones, first and second place rosettes, and giving them first dibs on going down the slide!! Everyone is really a winner with this Puppy Championship set! Not just the animals can enjoy the slide. 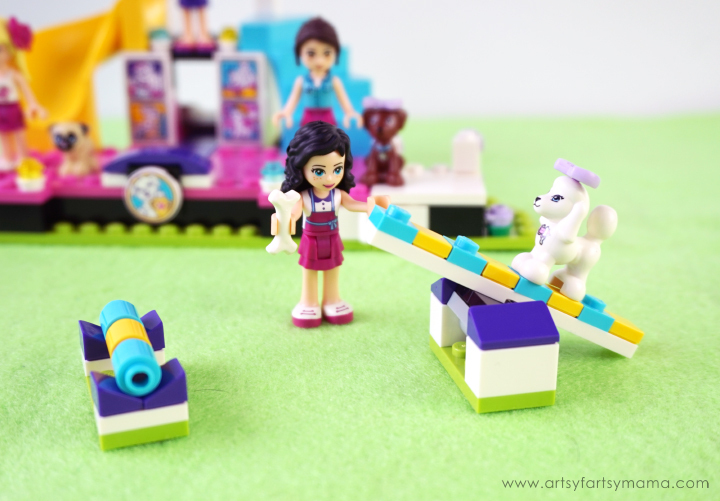 Even the minifigures can fly down the slide and have a great time! 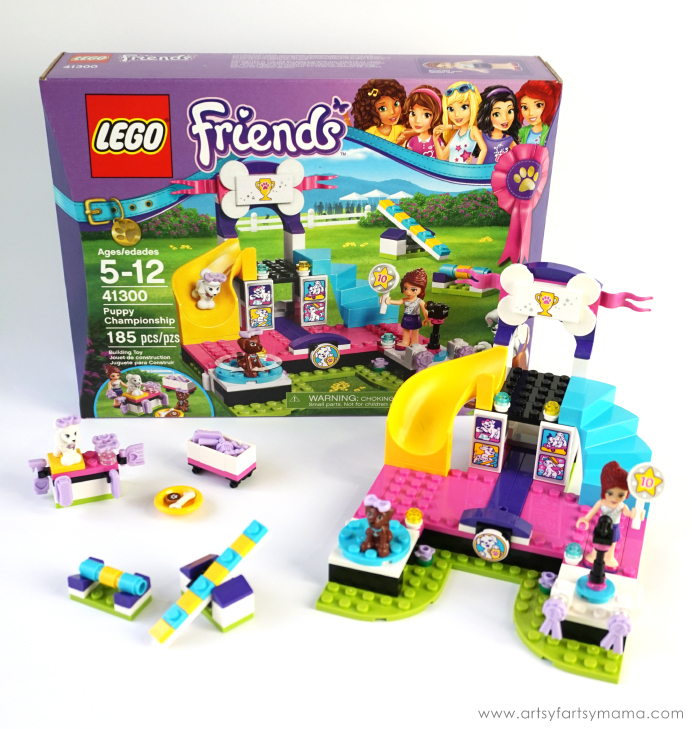 My daughter has spent hours playing with this set, and she's had so much fun combining her other LEGO Friends sets to create even more imaginative play. We've been having a lot of fun watching videos of past Westminster Dog Shows and are looking forward to watching the rest of the competition throughout February 14th. 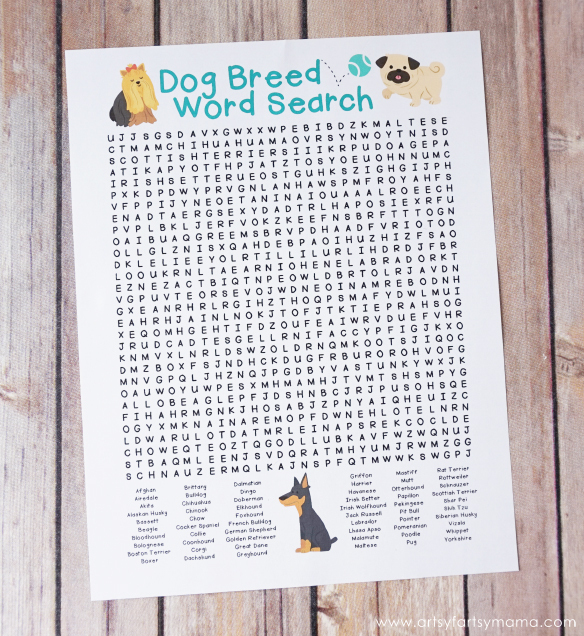 We've heard a lot of different names of dog breeds, and thought it would be fun to share a free printable dog breed word search to help learn the names a little better! Do you watch the Westminster Dog Show?